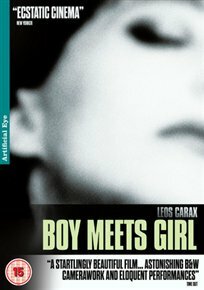 Leos Carax’s brilliant feature debut follows the relationship of an aspiring filmmaker (Denis Lavant) who has just been left by his lover and a suicidal young woman (Mireille Perrier) who is also reeling from a failed romance. Using bold, mesmeric black-and-white imagery to stunning effect, Boy Meets Girl is a blend of black humour and gentle romance that heralded Carax’s luminous career. Thriller has petty thief and street hustler plot to steal a new miracle cure for an AIDS-like virus on behalf of his gangster friend . Petty thief and street hustler Alex (Denis Lavant) plots to steal a new miracle cure for an AIDS-like virus on behalf of his gangster friend Marc (Michel Piccoli). But this attracts the notice of a mysterious American woman who also wants the serum. 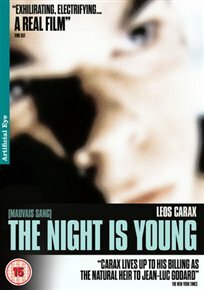 One of the most notable films of the 80s, this dazzlingly inventive mix of off-beat romance and sci-fi thriller cemented Carax’s reputation as one of the most exciting directors in the world. 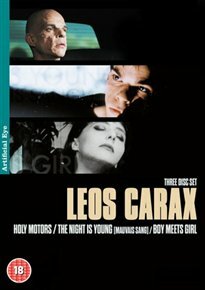 Box set containing three classics from acclaimed director Leos Carax – Mauvais Sang/the Night is Young, Boy Meets Girl and Holy Motors.